Marian McKittrick passed away on May 2, 2011 at Avera McKennan Hospital. Marian Margaret McKittrick was born on February 10, 1923 in Winfred, SD to Luke (Lou) and Mary Ellen (Ellie) Farrell. Her family moved to Madison, SD when she was about five years old. She attended St. Thomas Aquinas Catholic School graduating in 1941. She worked as a secretary in Madison until 1946 when her family moved to Sioux Falls, SD. She married Paul S. McKittrick on September 8, 1948 at St. Joseph's Cathedral in Sioux Falls. She worked again as a secretary before she became a mother and homemaker. After her family grew up she went back to work as a secretary until she retired in 1988. 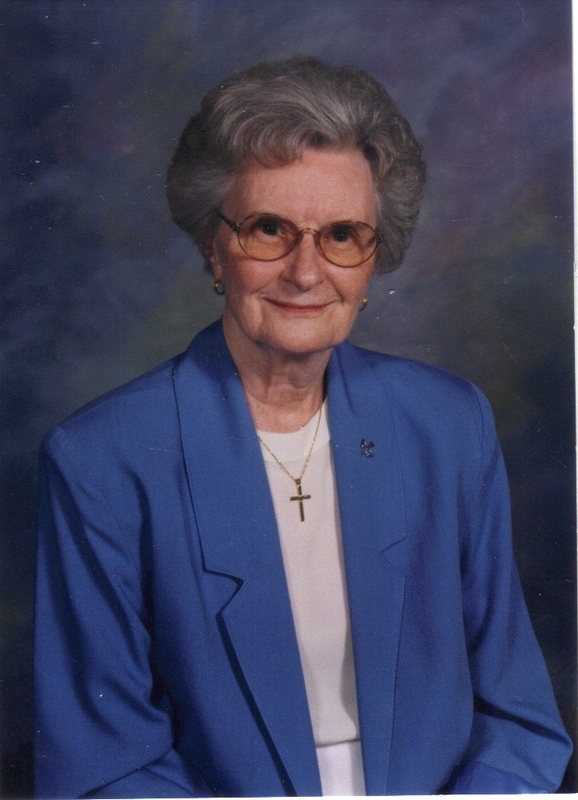 For over 50 years she was a member of the Catholic Daughters of the Americas. She was also a member of the Avera McKennan Auxiliary and a volunteer at Avera McKennan for over 20 years. She volunteered at Christ the King Church as a Eucharistic Minister and a Sacristan. Her survivors include her sister: Cathryn Farrell, Sioux Falls; two daughters: Peggy (Larry) Schuman, Rapid City, SD, and Kathleen McKittrick Toft, Fargo; one son: Daniel (Cathy) Leeâ€˜s Summit, MO. She was blessed with four wonderful grandchildren: Matt (Kristen) Schuman, Baltimore MD, and Molly (Bob) Klages, Spearfish, SD, Luke Toft, Minneapolis, MN and Maggie Toft, Bozeman, Mt. and one great-grandchild, Jackson Klages. She was preceded in death by her husband, Paul, Mother and Father, two brothers: John and James, and her sister, Marie Mergen. Visitation will be Wednesday, 5 PM at Barnett-Lewis Funeral Home with a Catholic Daughter of the Americas Rosary at 7 PM. Mass of Christian Burial will be Thursday, 2 PM at the Sacred Heart Chapel at Prince of Peace with burial to follow at St. Michael Cemetery.